Dundee had to settle for a point at Hamilton this afternoon, drawing 1-1 against Accies. 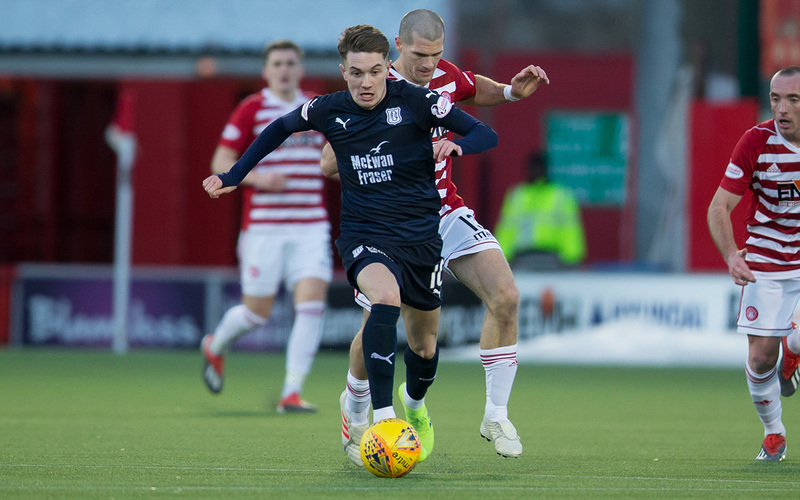 Scott Wright put the Dee ahead on his debut midway through the second half, only for Darian Mackinnon to equalise as the game ticked over into injury time. 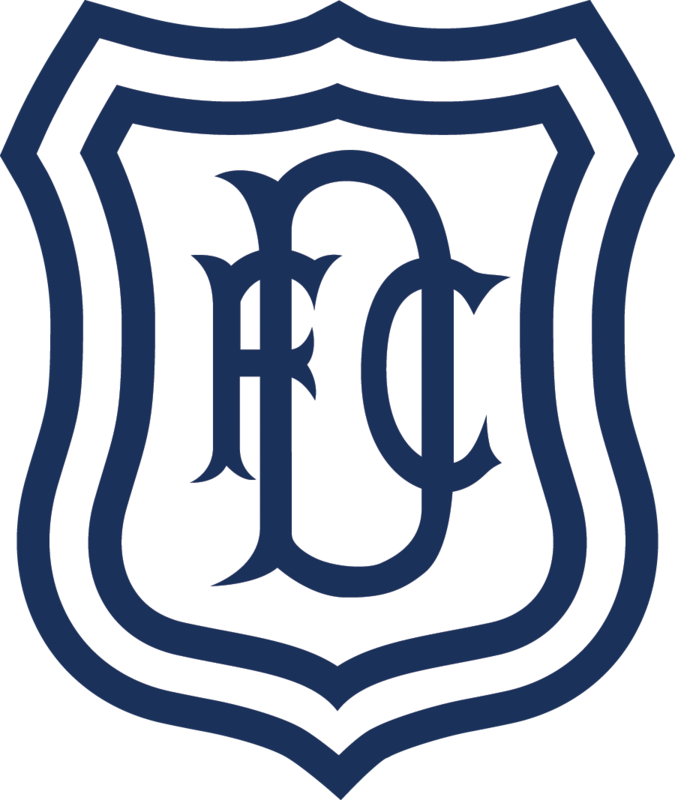 Dundee made six changes to the team that played at Queen of the South, no fewer than five of whom were making their debut. James Horsfield, Ryan McGowan, Ethan Robson, Andreas Hadenius and Scott Wright all had their first starts and Martin Woods returned after being ill. Cammy Kerr, Paul McGowan and Kenny Miller were on the bench and Darren O’Dea was not in the squad. Ryan Inniss and Roarie Deacon have left the club. The injured Andrew Davies was the only one of the 11 signings in the January window not to be appear in today’s squad. Accies brought Gary Woods, AlexTw Gogic, Darian Mackinnon and George Oakley for Ryan Fulton, Lenny Sowah, Tom Taiwo and Dougie Imrie. Hamilton started quickly and Scott Martin had the first shot inside the first minute, but his hooked effort drifted well wide. A couple of minutes later Steven Boyd nicked the ball away from James Horsfield on the wing and ran on to shoot across goal and wide. The Dee had a big escape after nine minutes when Martin’s low cross slipped through the defence and only frantic goal line blocking by Seny Dieng and his defenders kept out shots by Tony Andreu and George Oakley. The Dark Blues gradually played their way into a scrappy game and started to threaten Accies’ goal. Scott Wright and Andy Dales were quick to get forward. A good run and cross by Wright was turned back into the goalmouth by Craig Curran but the ball was hacked clear before a Dee player could reach it. Hamilton’s goalie Gary Woods pulled off two tremendous saves to deny the Dark Blues in the later stages of the first half. Wright combined well with Nathan Ralph who dug out a perfect cross from the byline only for Woods to instinctively parry Martin Woods’ close range header. Gary Woods surpassed that save when Wright set up Dales to fire in a fierce shot from 15 yards. It was heading just inside the post but a superb finger tip save at full stretch by Woods turned the ball out for a corner. When it came over Arron McGowan had to turn it over his own crossbar under pressure. Hamilton perked up after the interval pushing the Dark Blues back without really threatening the Dundee goal. The Dee were forced to make a change when Ethan Robson went off holding his groin and Paul McGowan came on. Ryan McGowan did well to cut out a dangerous McMann cross, but it was the Dee who scored from the resulting corner following a fast break. Curran kept the ball in play on the right switching the ball infield for Paul McGowan who tried to send Ralph clear. The ball broke to Scott Wright, who made space cleverly before a cool finish from 12 yards. It took a fantastic save by Seny Dieng to preserve Dundee’s lead following an Accies corner. The ball came to Scott McMann whose shot was flying well wide till it took a huge deflection but Dieng reacted superbly. After that close thing Hamilton struggled to put the Dee under sustained pressure in an untidy game. Neither team could hold onto the ball. Accies’ attacks broke down repeatedly and Dundee passed up numerous opportunities to exploit space on the break. Hamilton were growing increasingly nervous and Dundee should have been able to hold out and take all three points. As the four minutes of injury time started Dundee conceded an avoidable equaliser. Seny Dieng came out of his penalty area to intercept a long pass but didn’t get enough on his clearance. Steven Davies picked up the ball and fed Andreu who set up Darian MACKINNON to thrash the equaliser into the roof of the net from 18 yards. The draw keeps Dundee a point behind Accies. With a little bit more composure towards the end this would, and should, have been an important win. The late equaliser was frustrating, but the overall performance showed promise. There were plenty of encouraging signs from Jim McIntyre’s new look team as the newcomers all demonstrated that they can help the team improve as they settle in. Unused subs: Fulton (gk), Imrie, Mimnaugh, Sowah. Booked: Martin (foul on Dales), Gogic (foul on Woods), Gordon (foul on Curran), Mackinnon (confronting Ralph). Unused subs: Parish (gk), Kerr, Nelson, Moore. Booked: Curran (foul on Gordon), Ralph (confronting Mackinnon). Referee: Euan Anderson. Assistants: David Roome, Stuart Stevenson. Fourth Official: Nick Walsh.